In one word, the experience so far has been awesome! 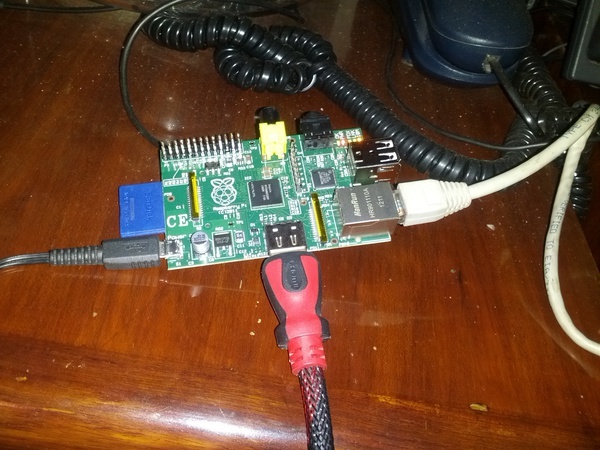 I recently got my hands on the RaspberryPi and as I mentioned earlier I will be blogging about my experience with it. I had to go buy a USB keyboard as I didn’t have any USB keyboard at home (yeah yeah, lot of people ask me about that… My old PS2 keyboards worked fine so didn’t even realize I didn’t have USB). I bought the mouse as well since I didn’t want to disconnect the mouse from my main system every time I booted into X on the Pi. I got the wired version of both because I wasn’t sure if the Pi could support wireless. It does support wireless stuff but it depends on how much power each device pulls and since I didn’t want to take a chance I went with wired. I added the line, restarted and both the issues listed above disappeared. After that I played around a bit with the system and found that the average boot time is about 10-15 seconds to the login prompt. If I start the GUI interface it takes between 20-30 seconds for it to come up and be usable. Was able to browse the web and install software without any issues at all. One interesting fact that I noticed was that the system didn’t appear to honor the rcX.d convention. 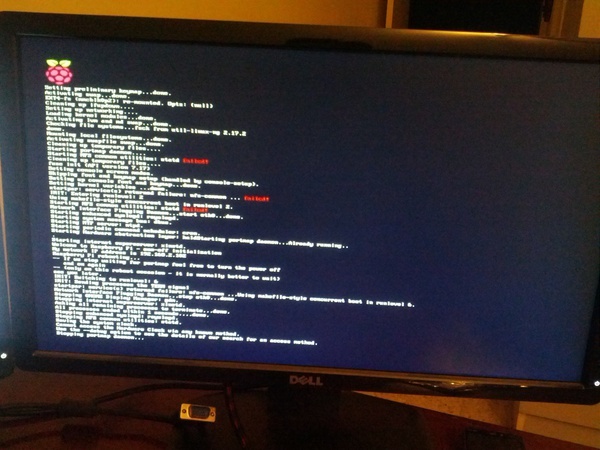 I was trying to get ssh to start be default on the Pi when it booted up so I put an entry in the /etc/rc2.d directory called S25ssh which was a symbolic link to /etc/init.d/ssh and this should have started up SSH everytime the system booted up but for some reason that wasn’t the case. I tried fiddling with the number, made sure the file was executable etc but nothing seemed to work so I finally ended up adding the line in /etc/init.d/rc.local and then it worked fine. Haven’t really debugged it but it felt like it wasn’t supported or something else was overriding the instructions. Once the command finished, the card was activated and I was able to see the networks around me including my home wireless network. However for some reason it was unable to get a DHCP lease from the router no matter what I tried, I even tried setting a static IP but it still wouldn’t go out to the net. I think the problem might have been because the dongle was trying to pull more power from the USB than the board supported, but since I didn’t have a working powered USB hub I couldn’t test the theory. 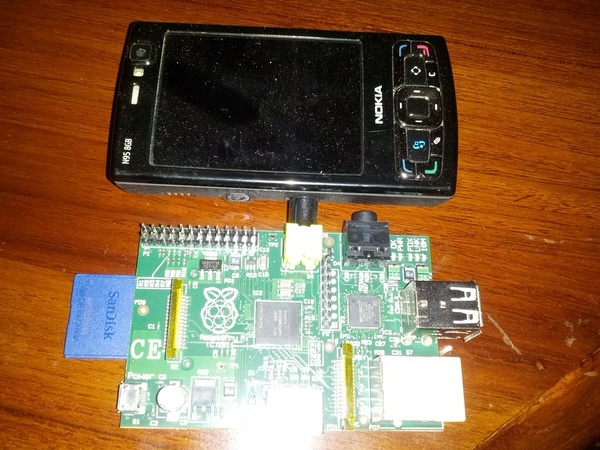 Wondering if I should go buy a powered USB hub… Haven’t decided yet but it might be required as the Pi only has two USB ports and already I have three devices that I want to connect (the number will go up as I find more and more uses for the board). Well this is all for now. Will post more once I play with the board a bit more. After spending a couple of hours on the web over a period of few days trying to get things working, I found a post explaining how to turn DEBUGGING ON in WordPress (See below for instructions) and once I enabled that I found out that the DB I was using was over the max size my hosting company allowed so all inserts were failing, removed junk from the DB (Stats etc) and I was good to go. Once you finish debugging you should either comment out the above line or delete it from the file, otherwise a lot of debug information will be shown to your visitors and that is something you don’t really want. Had a really interesting discussion at work today about putting comments in source code. A while ago someone I know told people not to put comments in any code they create and we were arguing the pro’s and con’s of this. I personally think that good comments are quite useful and should always be added to code, but there is another school of thought that says that code should be written well enough that comments are not required. When I started coding, I was told to always put good comments in the code because it helps the person who is reviewing/debugging your code when you are not around to understand what your logic or thought process was when you created that wonderful collection of code. Assuming that your code is good enough to not require any comments is very egostical. What is perfectly clear and logical to you because you have been working on a system for a couple of years will not be clear to someone who is new to the system. Put another way, code tells you how something is done and comments tell you why. I could figure out what this 30 line blob of code was doing after walking through the code in 5-10 mins or I can read the comment and understand the logic in 30 sec’s. If needed I can then look at the code more closely but if I just want to understand how the code works on a high level comments help a lot. Now lets look at it from the other perspective. Comments take up space in the file and if not well written they just take space and at times if they are not updated when the code changes can provide the user with incorrect information. The idea is that if required any documentation on the code can be auto generated by auto documentation tools. However if my developers are not trustworthy/reliable enough to update comments in code then I am pretty sure they can’t be trusted to follow the format required for the documentation creator software either. The one point that made sense to me was that at times people put information in code comments that should not be public. For example a developer can comment out a section of JSP code that has the DB connection info for the dev servers but now this information is visible to anyone who views the html code generated. Or other notes/comments that probably should not be openly accessible to everyone that searches. Last point before I end the post. Code should be clean and readable, you shouldn’t rely on comments to cover for bad coding practices. But I don’t want you to put a comment on every line of code, you should only put useful comments. Comments that help a future coder understand why you did something in a certain way are great. What do you think? Code comments are good? Bad? You don’t really care?